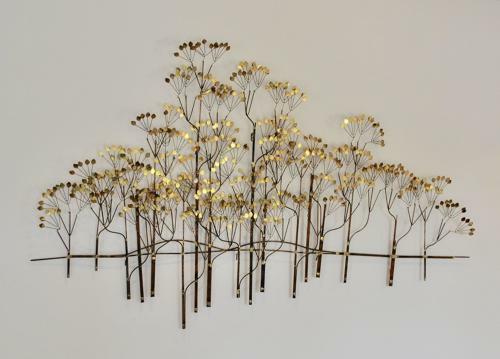 Fabulous copper and brass wall sculpture. Made by Curtis Jere for Artisan House in California in the 1970's. Their designs were collected by many famous Film stars of the time. This is one of the largest and rarest hand made sculptures that they made. Decorative, collectable and rarely found in the UK. (They were only ever sold in the USA).